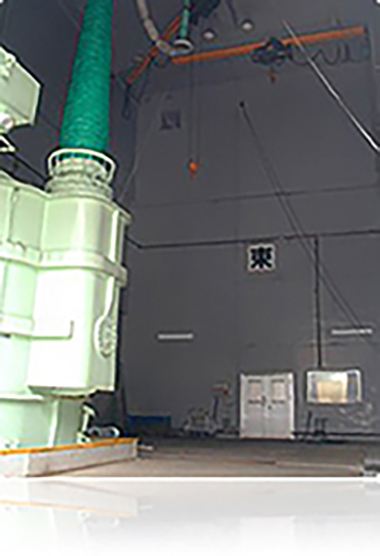 AC 500kV Contamination Test Facilities | Research & Development | NGK INSULATORS, LTD.
AC 500kV Contamination Test Facilities Dimensions of fog room:15m x 10m x 13m h.
Testing transformer:500kV, 5000kVA/ 1 min. Voltage drop of the total system:Less than 5% at 1A, 100 - 500kV. 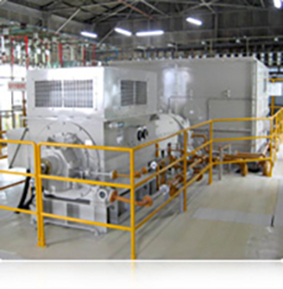 Short circuit capacity:125MVA at 3-phase. Max. short circuit current:12000A (symmetric).